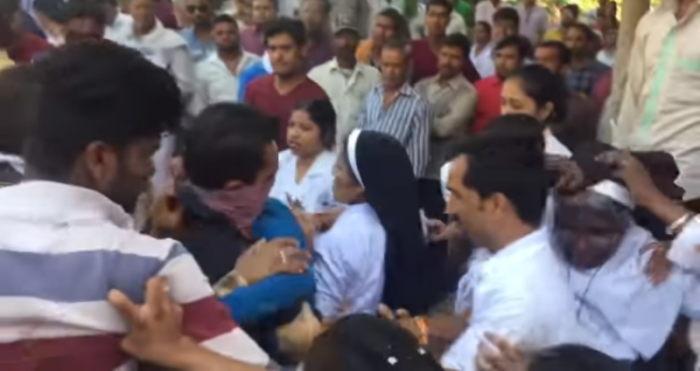 A dispute over land between suspected Hindu extremists and a Catholic hospital in Madhya Pradesh state, India, turned violent Monday when the extremists destroyed the hospital's boundary wall and attacked nuns and other staff in a violent land grab. 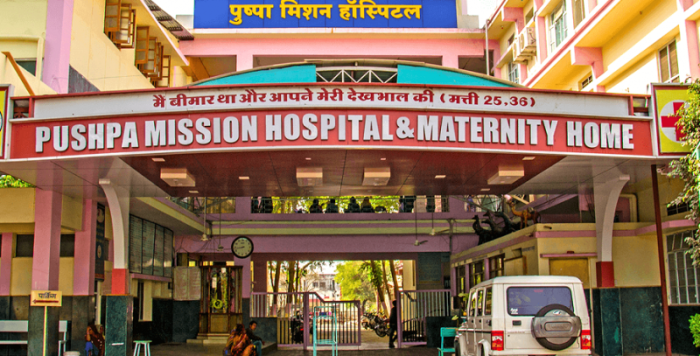 Since January, officials at Pushpa Mission Hospital in the temple town of Ujjain and the personal assistant of a local parliamentarian have been fighting over land the hospital says was given to the institution by the town's local civic body to use as a parking area and green space, a UCA News report said. The two parties had been battling for the land in local courts because members of the Bharatiya Janata Party, a pro-Hindu party that runs the state government, has accused the church of illegally occupying the land. The Madhya Pradesh High Court had issued a stay on the dispute on Feb. 2 until a further hearing. The court later transferred the case to a lower court for a police investigation and hearing. On March 8, the lower court ruled that there was no need for a stay order since the investigation was proceeding peacefully. The dispute came to a head on Monday when about 60 people with the help of a bulldozer destroyed the boundary wall at the hospital then blocked its emergency entrance and destroyed equipment including power generators. They also erected a fence and makeshift shops to claim the land. "Our staff, including Catholic nuns who attempted to resist the advance, were manhandled and forced to flee for safety," hospital director Father Anthony Pulickamandapam told UCA News.com. "They also destroyed the back-up power generator and disconnected the water supply, putting the lives of nearly 200 patients, including 12 in the intensive care unit, in serious danger," he added. In a video recording of the attack posted to YouTube, it was noted that members of the mob "were shameless and ruthless in abusing the lady staff and nuns in the filthiest language possible and also assaulted them physically." Bishop Sebastian Vadakkel of Ujjain said despite appeals from hospital officials to local law enforcement they were not able to get immediate assistance. "Even our staff nurses, who approached the women's police station to lodge a complaint, were turned away," he said. On Thursday, days after the violent land grab, local government authorities issued an order halting further activity in the disputed area after a delegation of four high level local bishops, including Bishop Theodore Mascarenhas, secretary-general of India's national bishops' conference, visited the area and demanded that the state and federal governments act to ensure the rights and safety of Christians. "Neither the state of Madhya Pradesh nor the federal government can afford to allow mobs to take the law into their own hands," Bishop Mascarenhas said in a statement. "The use of political muscle and an arrogant display of violent might is nothing but terrorism and anti-nationalism. We condemn these acts of violence, terror, intimidation and forceful trespass as these actions pose a threat to the well-being and future of our beloved nation," the statement further noted.